Seamus Heaney was born on this date in 1939 on a farm in County London-/Derry. 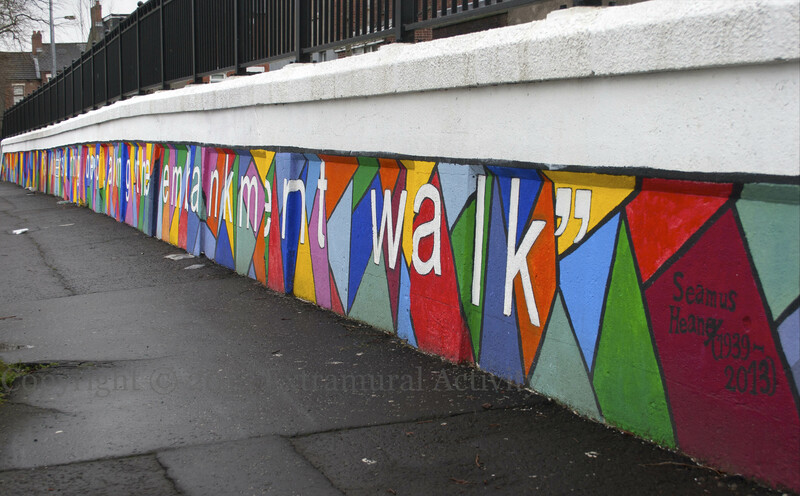 His first (full) collection was Death Of A Naturalist in 1966 and it included the poem Twice Shy, the concluding lines of which are painted on Stranmillis embankment: Still waters running deep along the embankment walk. Painted by UUSU students (see also Animals Two By Two).